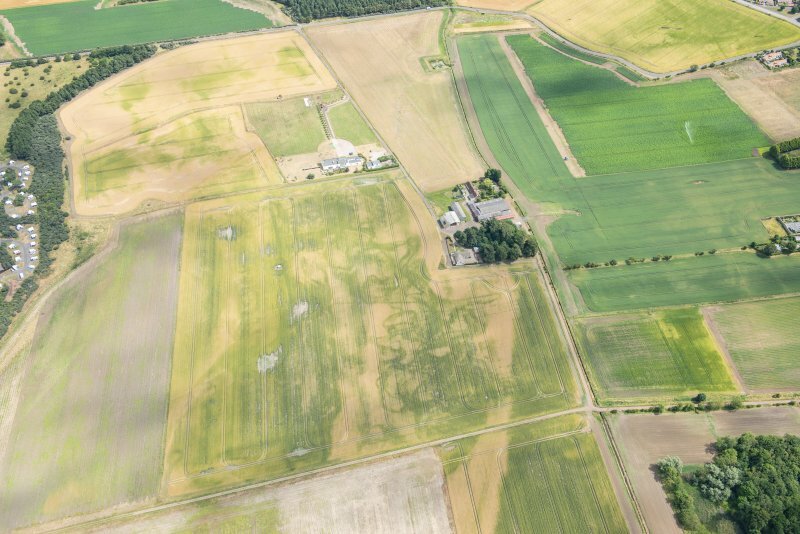 Oblique aerial view of the cropmarks of the field boundaries, looking W.
Oblique aerial view of the cropmarks of the field boundaries, looking SSE. 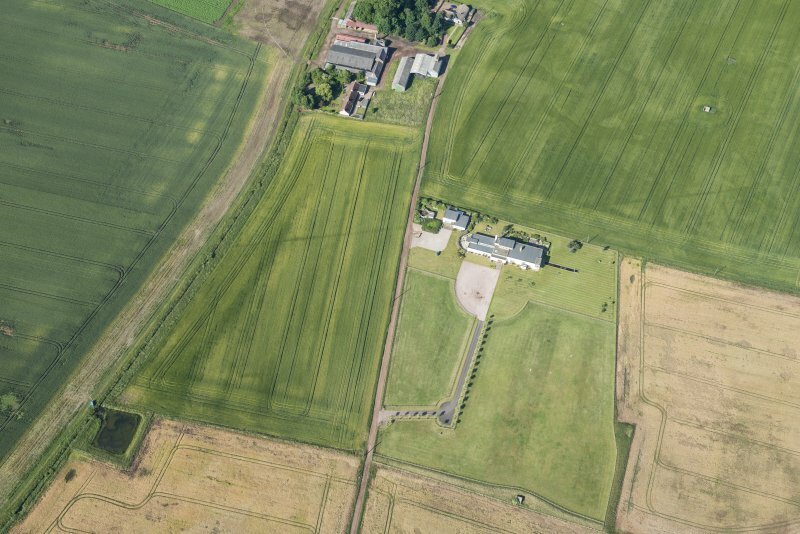 Oblique aerial view of the cropmarks of the field boundaries, looking WSW. 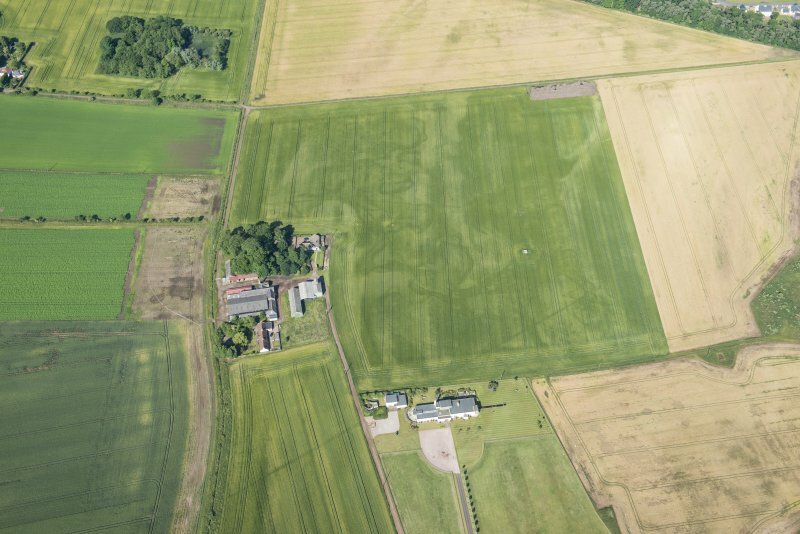 This radar station is situated to the N of Dirleton village and some 150m NE of Dirleton New Mains farm. It consists of a large long building with several separate brick and concrete huts. The radar station formed part of the ground control of the interception radar (G C I) for the Edinburgh area. The radar station was the Ground Control of Interception (GCI) radar for the Edinburgh area. The operations block is at NT 5168 8484. The station had various radar types including a type 7, which was a final G.C.I. version consisting of a large fixed aerial with equipment in an underground well below; a type 8, mobile G.C.I. and a type 21 which was a development of the G.C.I. comprising type 13 (height finder) and 14 (accurate detection, giving range and bearing radars operating in conjunction. The type 21 thus provided three dimensional information, range and bearing and also height. 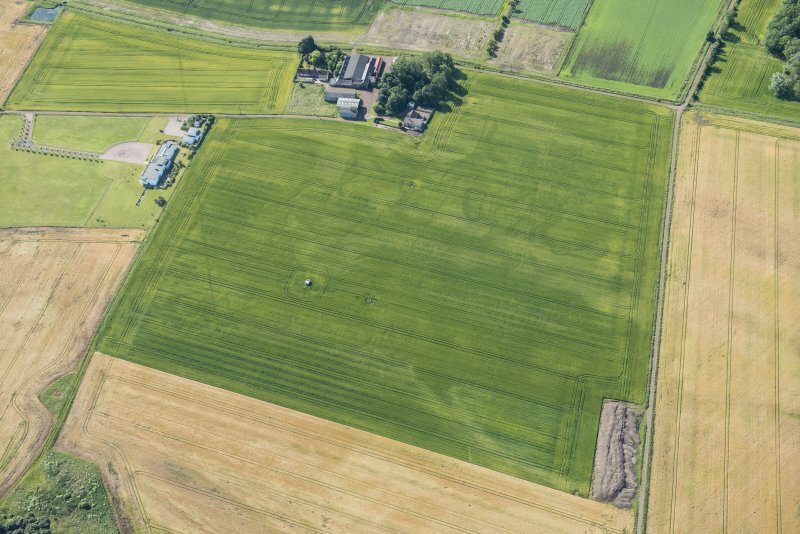 NT 5167 8483 A survey of the WW2 radar station at Dirleton was undertaken prior to the development of the site for housing. Within the site boundary the standing structures comprise an operations block, generator house, filter bed, Type 14 radar plinth and an 'Identification Friend or Foe' (IFF) cubicle. These were constructed in 1943 and the years immediately afterwards, and formed a part of a Ground Control of Interception (GCI) station. Initially housed on lorries with the aerials on 'caravans', the first buildings were of wood, later to be replaced by the present brick and concrete structures. Further enhancements were made during 1945, but by the time the building was completed the war was largely over and the station was turned over to training. It worked closely with the night fighter units from Charterhall and Drem. The GCI closed down in 1946 but the site was used for training purposes until 1954. Other features identified include the stance for a Type 13 height finding radar, the foundations of the administration block and a guard dog enclosure. Further structures associated with the station also survive outwith the survey area. These include a second IFF cubicle, the subterranean control room and stance for a Type 7 radar aerial, and a Stanton air raid shelter. Full report lodged with the NMRS.